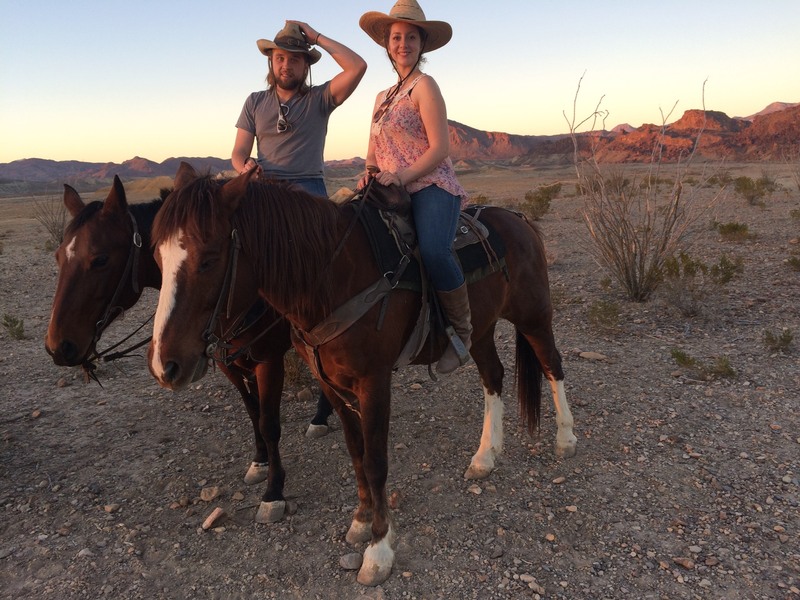 Rule 49: I LOVE riding horses….regardless of how stereotypical that makes me. 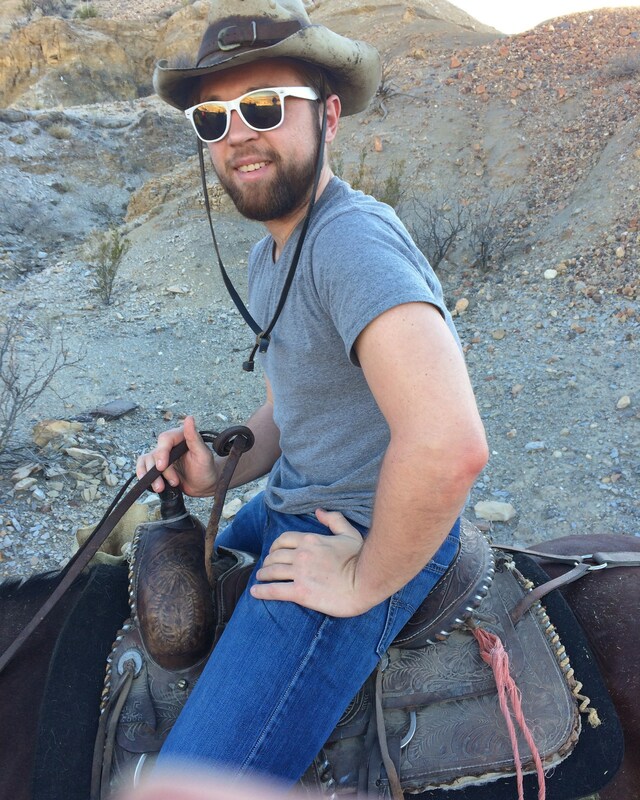 I know, I know…I’m a white guy that lives in Texas who claims to love riding horses. I resisted the sentiment at first too. I’ve been around horses most of my life. My mom’s family owned them when I was younger, and my dad still has about 20-25 quarter horses on his ranch up in Oklahoma. I learned to ride when I was younger, and I’m pretty good at it. I’ve just never had the opportunity to do it on a consistent basis. You know, like once a month. More recently, the majority of the riding I’ve done has been trail riding, but this last ride sparked a flame in me to get back into doing actual work with horses. We were in the Study Butte/Terlingua area near Big Bend National Park. Our horses and tour guide were hilarious. My horse must have had a seasonal allergy issue, because she kept sneezing…the guide said she was coughing but I was riding the horse and could feel her entire body inhale then sneeze every time it happened. My girlfriend’s horse was very clever and slightly obstinate. Anytime he really felt like it, he would just stop and graze and not pay much attention to the line of horses we were following. He was clever because the dude knew how to grub whenever he damn well pleased, and he was obstinate because it took my girlfriend about half the ride to convince him to listen to her when she tried to keep him from snacking. Our tour guide, Armando, was from the area. He grew up with horses and, according to him, would never try to fight one. He had been riding since he was four. He did some competitive riding as a young teen, and then attempted to transition into bull riding around 15. He saw a buddy lose a testicle to the sport, and decided to hang up his bull riding chaps. But, he did not freely offer this information on his background at first. He was first very drawn to making as many jokes and quips as he could. Kind of like how a bunch of guys give each other crap while standing around a grill arguing about how long the meat should cook. On our first break in the ride, he started talking about sports then launched into a 5-minute stand up routine consisting solely of Q&A jokes. What do you call a cow laying down? Why do the Dallas Cowboys go to the bank? What do tuna and pianos have in common? You can tune-a piano, but you can’t pee-on-a tuna. That’s just a small taste. I tried my hand telling a joke, and he quickly shot it down with some acerbic wit. The couple that was on the ride with us didn’t seem highly entertained at all with his comedy routine. I lapped it up to be a good sport. He was particularly biting to the girl in the couple. I think she has probably communicated that she was anxious about riding horses, so he took every opportunity he could to mess with her. He told her that her horse was getting angry with her, that when the horse stomped his feet that meant he was about to rear up, and other little jokes meant to ruffle her feathers. It’s a very common trait amongst the other country type guys that I know. You mess with people’s fears in order to make them realize that there is no need to be scared. It might seem like a backward or harsh approach, but I know it can work. Armando also took great pleasure in dryly and sarcastically jesting at us when we had overtly touristic questions. We came up on some old mining machinery, and he tried to convince us that it was a human crusher. We asked about some old crumbling rock buildings, and he said they were all that remained of the first Wal-Mart from the 1800’s. He was quite the sharp guy. Me: Cool, what are they? Armando: (pointing indiscriminately) You see that tall one? Armando: We call that one Mt. Rock. Armando: You see that other one? Armando: We call that one the other big rock………hahahaha! Of course, when it came to asking him about anything other than horses, he detoured the conversation. My girlfriend, the ever curious counselor type, tried to ascertain why he was joking with us so much of the time. She asked him if he was the youngest of several boys. He responded with a smirk,”I don’t know…maybe.” He was quite the interesting fellow. As we were leaving, I felt a hint of sadness having to once again depart from horses without knowing for sure when I would get to ride again. So, I thought I would immortalize the feeling in one of my rules in an effort to find a way to ride more horses. I guess some things get so ingrained in you as a kid, they just never go away.